Back last September, Elizabeth Zelvin announced the publication of a new anthology, Where Crime Never Sleeps: Murder New York Style 4. Not only did SMFS member Elizabeth Zelvin edit the book, the work included her story as well as stories by SMFS members Joseph R.G. DeMarco, Nina Mansfield, Anita Page, and Cathi Stoler. 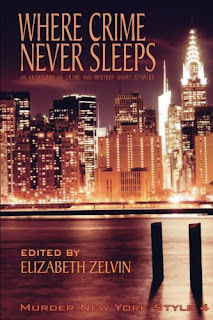 Please welcome back to the SMFS blog, Elizabeth Zelvin who shares how the theme of the anthology came together. Writers know how fictional characters can get the bit between their teeth and gallop off in directions the author would never have taken them. Saying, "Whoa, Nellie!" doesn't work. There's no choice but to go along with it—and in the end, the story or novel is the better for it. 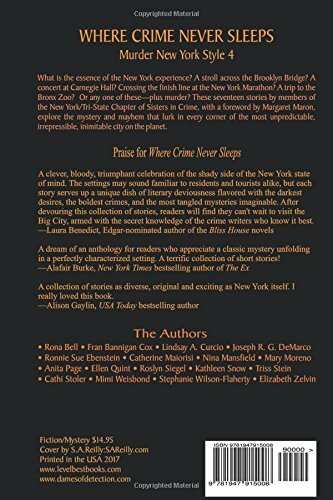 In compiling and editing Where Crime Never Sleeps: Murder New York Style 4, the fourth anthology of crime and mystery short stories by members of the New York/Tri-State Chapter of Sisters in Crime, I found that it's not only fictional characters who take over the creative process to the benefit of the final product. In this case, the theme of the anthology was hijacked by the collective unconscious of the authors who contributed stories. Furthermore, they did so without any sense of departing from the original stated theme, as in a sense, they did not. "Nellie"—what really grabbed the reins and took off like the Wild Hunt—was New York itself. Our original intent was to devote [Murder New York Style 4] to New York attractions: landmarks and events that draw visitors to our city, perhaps with visitors as the protagonists, victims, and killers in the stories. Our storytellers had other ideas. You will read about the Brooklyn Bridge in these pages, along with the Museum of Natural History, the running track around the Central Park reservoir, and Carnegie Hall. But the characters who inhabit these places and breathe life into these stories are New Yorkers. To them, the iconic places of New York are not attractions to be gawked at, but the places where they go about their lives. So we went with what we got, and our theme became the infinite variety of New Yorkers and the uniqueness of New Yorkishness. The submissions we received completely disregarded the suggestion to write about visitors. How many New Yorkers find visitors of consuming interest, when the city is filled with so many fascinating and endlessly diverse New Yorkers? The term “New York attitude” is overused, and not enough is said about what it really is. Forget the caricature of crude pugnaciousness, the New Yorker as nihilist giving the rest of the world the finger. I think the real attitude is the New Yorker’s ease in her skin (or his), a way of being thoroughly at home in his (or her) New York world—or worlds, because New York consists of hundreds, thousands of worlds. The authors of these stories have given us a glimpse into a few of these many worlds. What constitutes the look, the sound and smell and taste of New York? It all depends on the senses of the individual and which New York that person currently inhabits. It's no wonder that when the members of the New York/Tri-State Chapter of Sisters in Crime sat down to write a submittable story, they were thinking not about whether the Brooklyn Bridge is more popular with visitors than the Statue of Liberty, the Empire State Building, or Central Park (it's not, but it topped our list, while of the highest ranked three, only Central Park made the anthology) but about how we New Yorkers are arguably (and oh, how we love to argue!) the most interesting people in the world. It really is a snapshot of New York and New Yorkers. Beautifully edited, too! Should be on everyone's shelf! 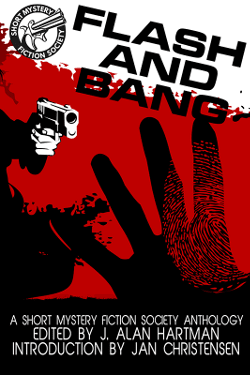 It's an honor to have my story, "Vincenzo's Head" included in this anthology. Each and every piece is nicely craftred and filled with New York in a variety of ways.